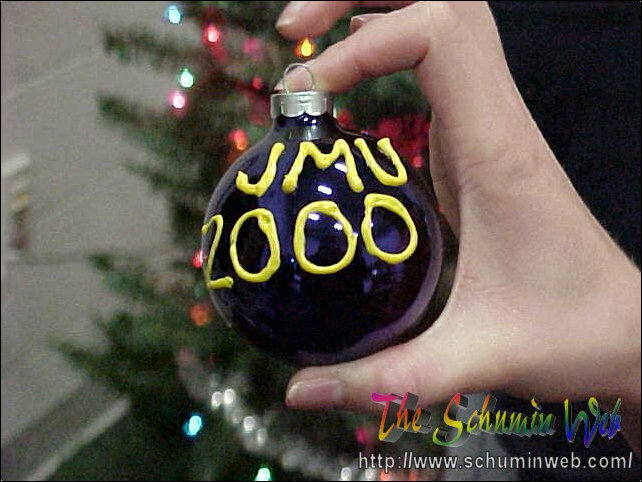 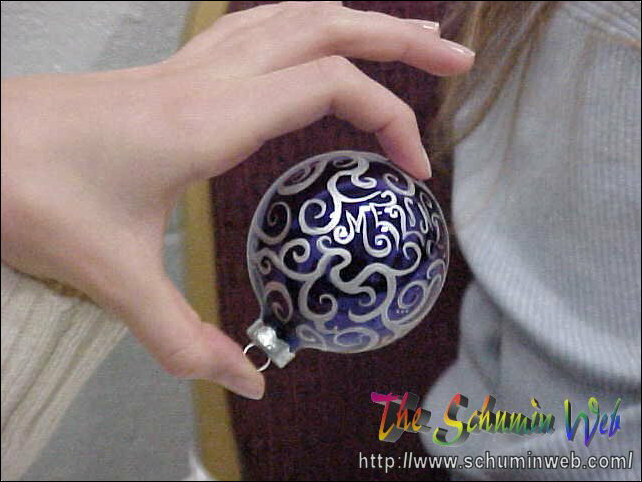 One of many beautiful Christmas ornaments to adorn Potomac Hall’s official Christmas tree. 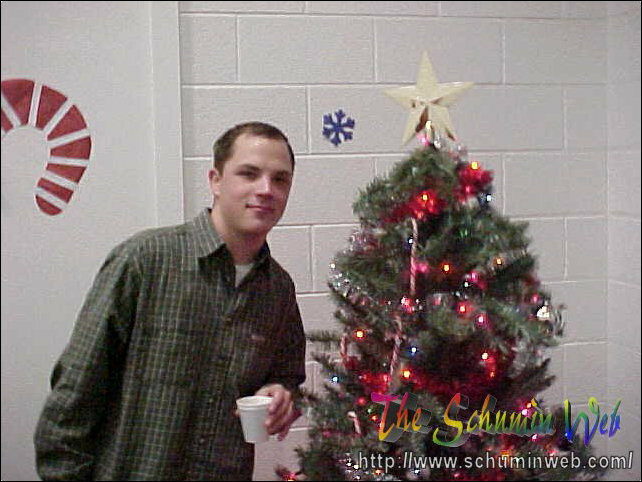 Andrew takes a second to pose with the Christmas tree for the camera. 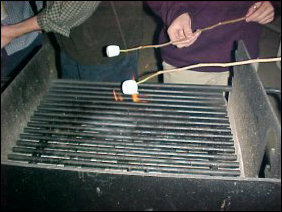 We’ve got a flame going on the grill… let’s roast! 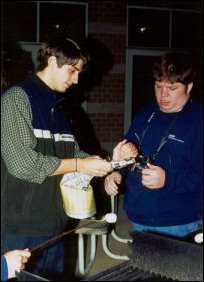 Here I am attempting to help someone light up an old issue of The Breeze in order to get the grill going. 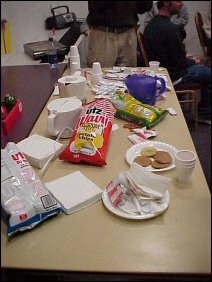 And when I say incinerate the marshmallows, I mean it! 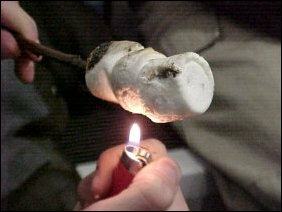 I think it’s hot enough to cook marshmallows, don’t you? 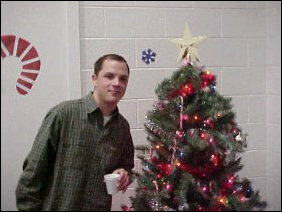 This one is case in point. 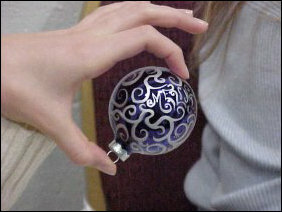 I applaud the person who created this one – it’s absolutely stunning. 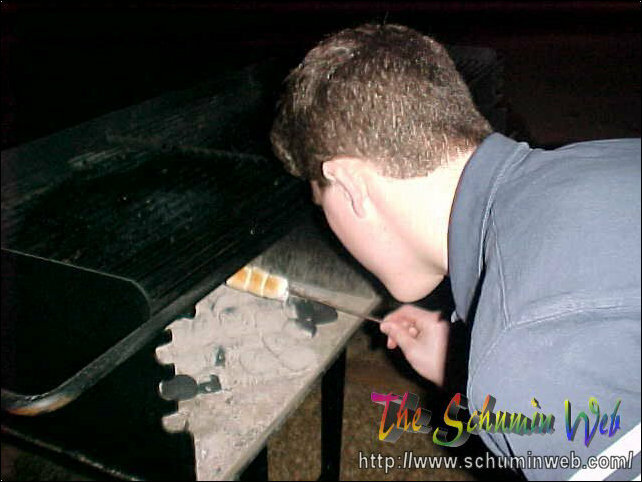 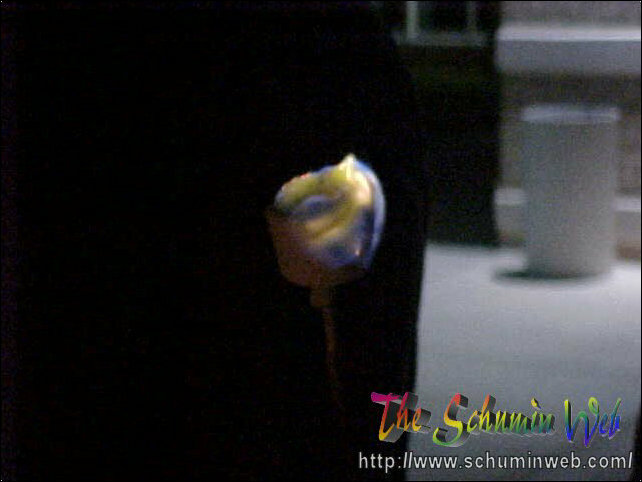 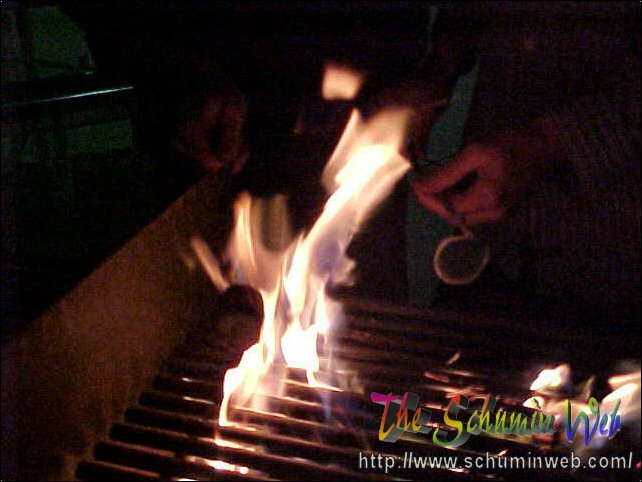 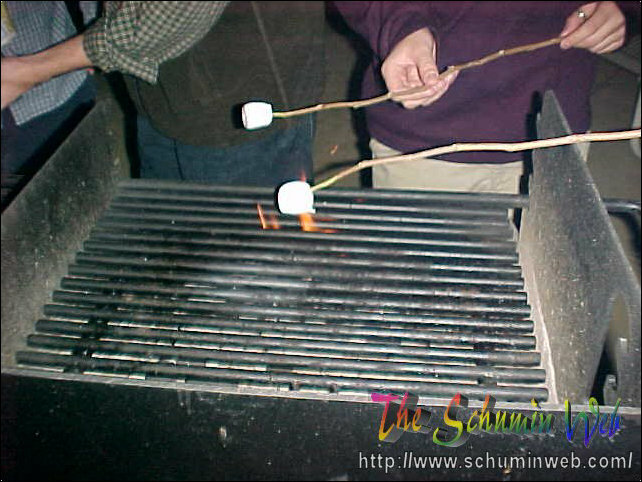 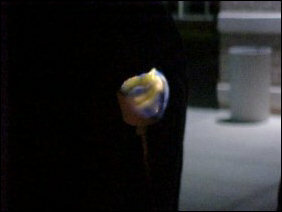 When efforts to cook the marshmallow the normal way failed, a cigarette lighter seemed to do the job, if you didn’t mind a hint of butane taste on your marshmallow. 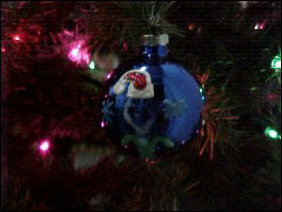 This is my ornament, already adorning the tree. 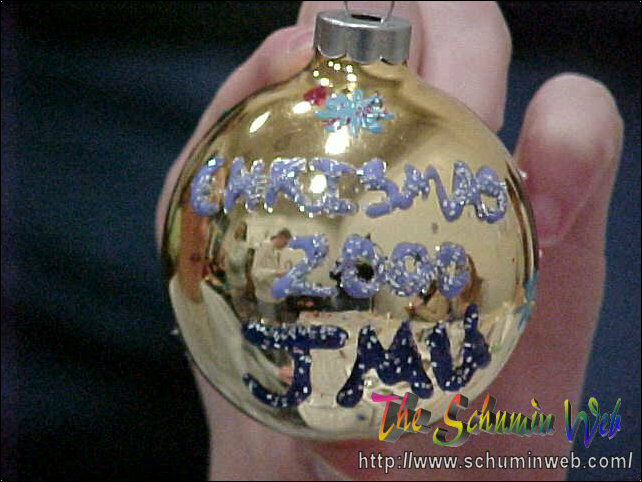 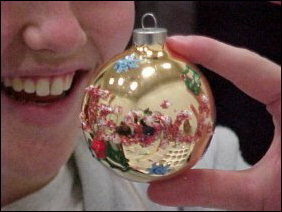 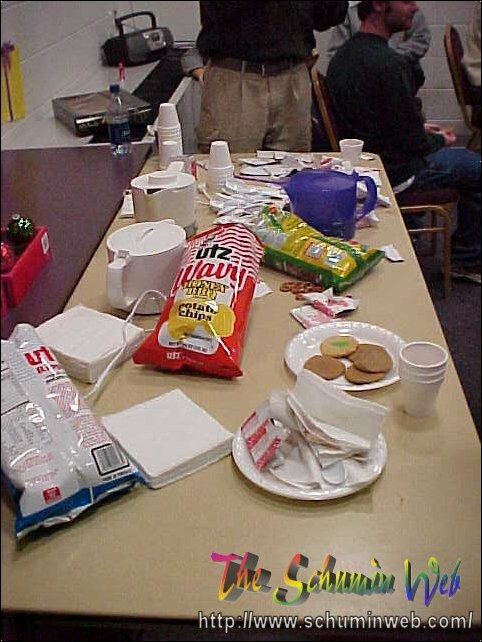 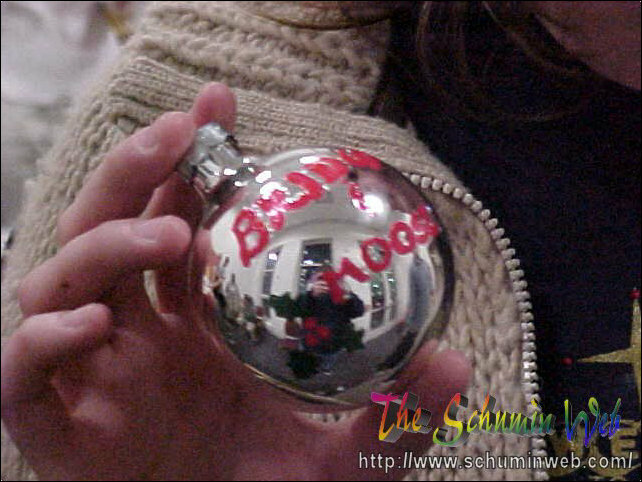 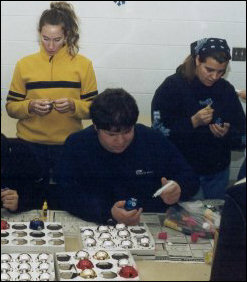 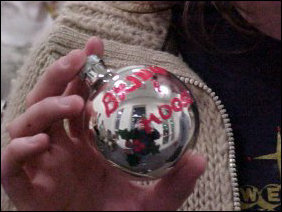 The guy in the Santa hat on the ornament, BTW, is supposed to be me as shown on the site in December of 2000.